Pools are a lot of fun, until they start looking more like a cesspool than an oasis. 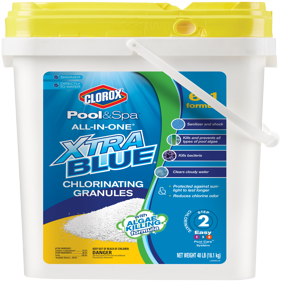 Keep your pool water clear, clean, and safe this season with regular treatments, and with this 50 pounds of Qualco Pool Care 3-Inch Chlorine Tablets, you can stock up.These EPA-approved tablets are a safe, effective way to treat your pool water this season, acting as both a an algaecide and bactericide. Each tablet measures 3 inches, so refer to the rest of your pool maintenance equipment to make sure they're compatible with your set up.